Students learn English or French in the mornings. Small classes mean they make rapid progress and can address any weaknesses. The first period focuses on grammar and structure, whereas the second period is more about communication activities. In the afternoons, students play a different sport every day, sometimes in the school's excellent sports facilities, which include a huge indoor sports centre, or at the facilities at a nearby school. They may go down to the lake to do banana boating, paddle or windsurfing, or use other facilities in the city. Tim, our Sports Coordinator, says that his personal favourite sport to teach in the afternoons is trampolining. 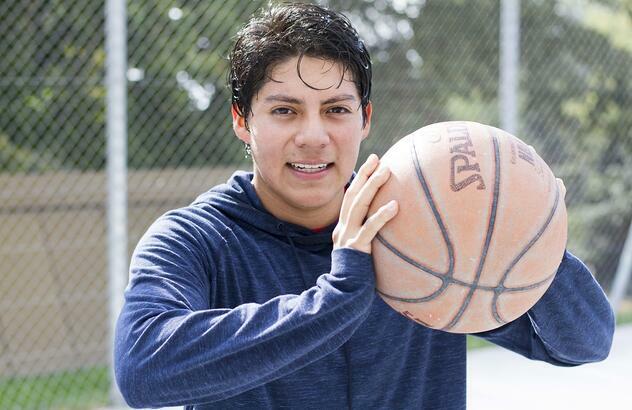 “It's something that not all our students know and it's really fun for everyone“, he says. “Students can improve quickly. 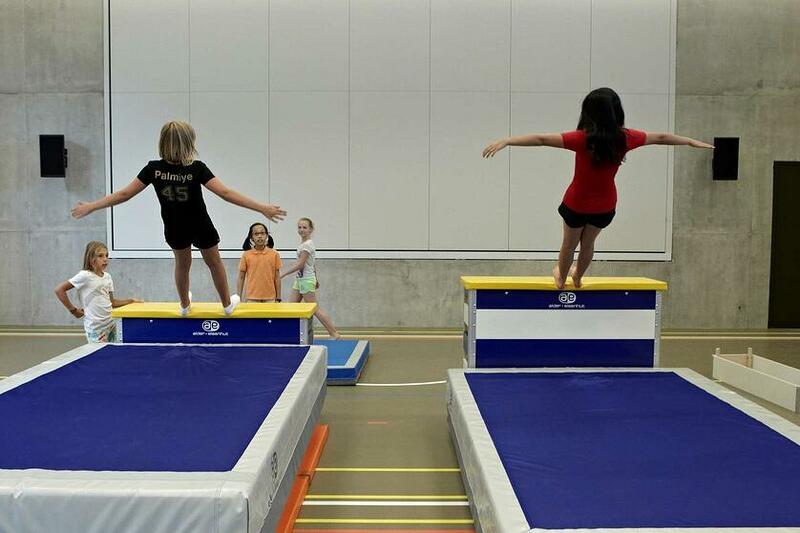 Sometimes students who are not a natural at team sports are very good at trampoline. We do different exercises to help them improve and move on to doing more complex jumps and flips”. After two hours, most students can do the front flip and other cool moves. They discover a new range of movement through these activities that is different from other group sports. After sports class, on many days, if the weather is good everyone heads to the incredible open air pool by the lake in Lausanne. There is a huge inflatable fun park in the water, as well as opportunities for students to practice their diving, play basketball, football, and beach volleyball, or just relax with their new friends and have an ice cream. Sometimes the school might organise a ping pong tournament, which is always popular. Tim and the other summer course staff also organise various tournaments in the evenings to further push students to try new things, have fun and excel in what they are good at. The winners are then celebrated in an award ceremony which boosts student confidence. With a busy evening activity programme and excursions every Saturday and Sunday, Brillantmont Summer Course is a great choice for any 10-17 year old looking for a fantastic summer experience, with life-long memories. Want to learn more about the activities at Summer School 2018 or ready to register your child before all the spots are filled? Click the link below.